2 – Perception of Love from Ad Howells on Vimeo. Our recent Film & Animation collaborative project at the ECA (Edinburgh College of Art) allowed us the creative freedom to explore the primal elements that define story and character – the emphasis was on the exploitation of creativity in it’s raw state; as opposed to technical virtuosity. It certainly provided me with the opportunity to express my ideas artistically and the project inspired the potential combination of animation with live action. We were provided with fairly generous limitations – while one project should be over 30 seconds the other should be under 15 seconds. The limitations of the short film, were crucial in allowing us to be more creative. By using the limitations of time, and providing us with a selection of images – we already had a world defined by these two constraints in which we could explore our ideas. In the process of discovery fragility and beauty coalesce; in a way it is the very danger of the process of discovery that is beautiful. Lonely Hearts animation setup in the Animation department. Glass was used to provide depth and efficency, and the 2D characters, props, and background scenery was animated on these planes. The longer project entitled Lonely Hearts is a fusion of live action and animation, exploring the theme of love. A girl goes on a series of dates with a number of peculiar characters, and eventually prefers to be with a cardboard man she’s constructed from newspapers. Instead of using green-screening techniques we utilised rear projection both for it’s simplicity in postproduction and as a way for the actor’s to experience a more distinct tangibility while they interacted with the animated backdrop. The animation was a created using stop-motion 2D characters and props arranged on a number of glass panels, that had the dual purpose of providing depth by the number of planes, and increased ease, and fluidity of the animation process. Shot using a regular DSLR camera, and Dragon Stop Motion as the capture software of choice, the animation provided us with a spatial awareness and a distinctive motion of the waiter character, which contrasted from the live action and as a whole ultimately created a depth in it’s dichotomy of movement and style. 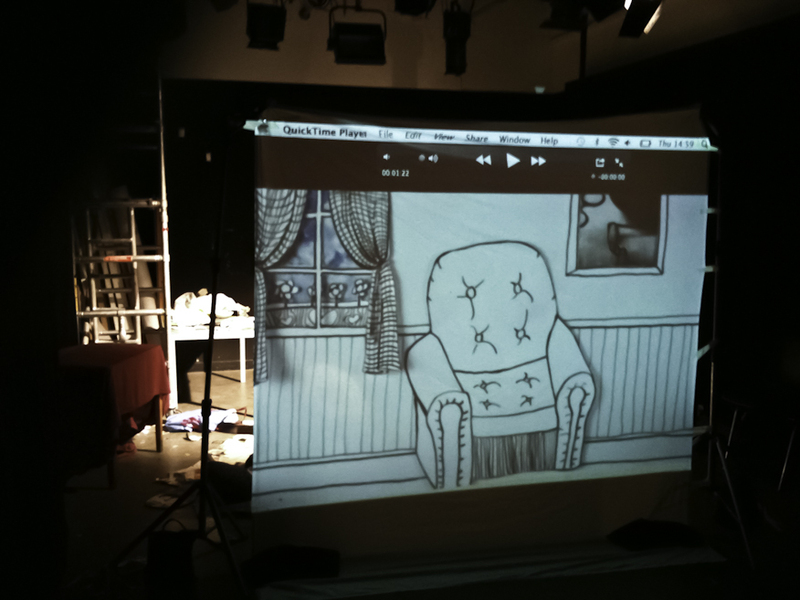 Rear projection setup for Lonely Hearts – using this technique instead of greenscreeing allowed the actors to have a more tangible and immediate interaction with the animation. In the shorter project entitled 2 – Perception of Love we where keen to explore the inner workings of the process involved with love, and it’s relation to perception. We generated a large volume of ideas, that were largely reactions to our provided images – in this project we were essentially concerned with an image of a drops of trickling rain on the window the countryside in motion behind it. The patterns that formed in the fluidity and amorphous ephemerality of these streaks of rain where like the fusion of rivers, their mingling signifying the possibility of new relationships forming. Another image of a pair of glasses on a table highlighted not only connotations of perception – namely a stimulation of the visual and the intellectual qualities of the brain, but a definite conflict between the tangible and the intangible. From this I was immediately lead to the concepts of identity and the slow and exhaustive process of revealing and discovering. 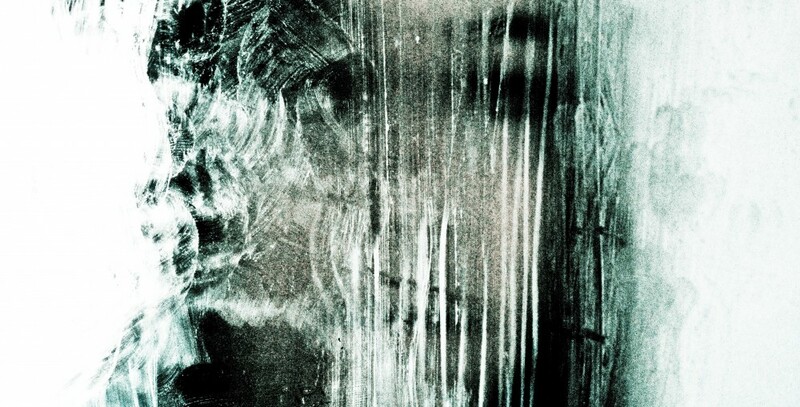 An image of glass, and the use of obscuring people and objects, therefore creating barriers between them arose. My reference was a piece I saw at the Venice Biennale entitled Others which examined these themes in relation to the alienation of immigrants in society. 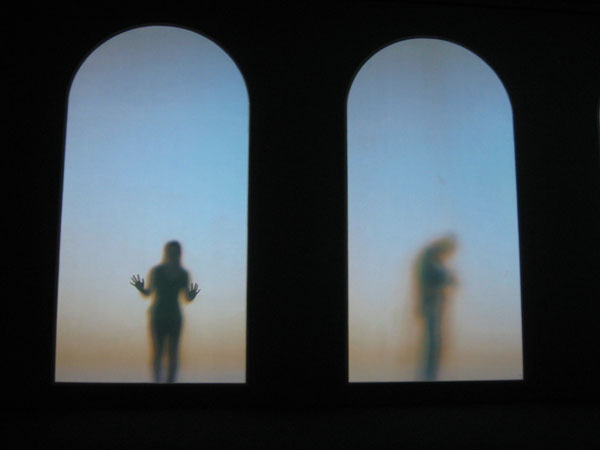 These partially obscured figures, in which the hands were solely rendered in clarity and the remaining body was reduced to a compound blur, in this instance took on a certain metaphor for the process of discovery that occurs when you meet someone for the first time, and you gradually gather and assemble minuscule pieces in your mind, instinctively and sometimes naively making connections between these seemingly disparate elements that are defined from an acute amalgamation of morphological and intellectual stimulations. Initially only distinct elements of that person can be discerned, and other elements are hard to resolve. An image from Krzysztof Wodiczko’s exhibition Others at the Venice Biennalle 2009. 2 – Perception of Love is an exemplification of a miniature process of discovery, it’s simplicity derived in a walk, a build-up and the passing of two people. This passing can be seen as a climatic event, or as a small moment, but crucially the moment itself is inherently undramatic, not to the point of lack of recognition, but the moment can be incredibly subtle. It is the delayed reaction to the moment that is poignant – for the passing of two people is so rapid, so instinctive, and immediate that the moment exists, an to an extent lives in the mind. In the mind it is elevated to a place of importance, and significance, the fleeting moment is enhanced, drawn out; invention becomes reality, and the mediation of that reality, creates associations, provoking judgments, and juxtapositions. In the process of discovery fragility and beauty coalesce; in a way it is the very danger of the process of discovery that is beautiful. Lonely Hearts from Ad Howells on Vimeo. By: Amy Sheilds, Miryam Lacey and Ad Howells. Written, directed and animated by: Ad Howells, Miryam Lacey, and Amy Sheilds. Cast: Kirsty Louise Jones, Devin Wallace, and Amy Sheilds. This entry was posted in Animation, Behind the scenes, Film on November 15, 2010 by adhowells.